The tournament referee and medical team were monitoring conditions at Flushing Meadows as players felt the searing heat. 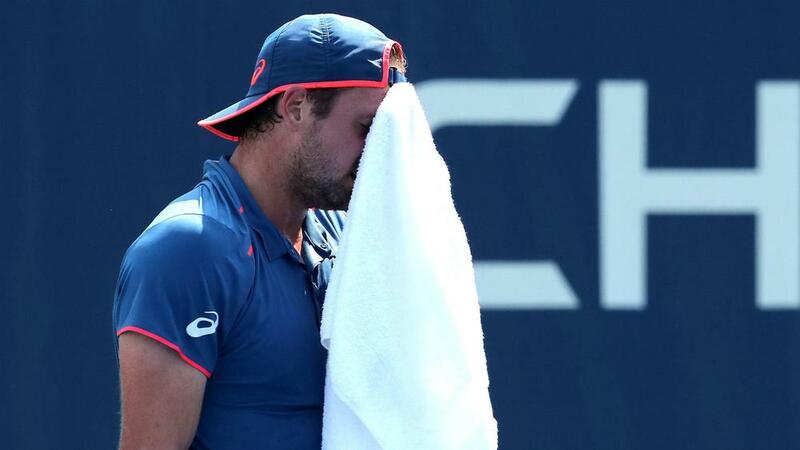 US Open officials implemented the heat rule as temperatures soared on day two at Flushing Meadows. Novak Djokovic was among those feeling the effects of gruelling conditions in New York, with concerns growing following a high number of retirements. The WTA has a ruling which permits players to take a break between the second and third sets, while the men will have the option of a 10-minute interval before the start of the fourth set due to the heat and humidity on Tuesday. "Upon the recommendation of the #USOpen medical team, the Extreme Heat Policy will be implemented immediately for men's matches. The men will be offered a 10-min. break between the 3rd and 4th set." the tournament's official account. "The Tournament Referee, along with the medical team, will continue to monitor conditions." Petra Kvitova came through her first-round match with Yanina Wickmayer in straight sets and the fifth seed was delighted to get off court in 72 minutes. She said: "I think I was pretty lucky to play first on today, definitely. I knew it was going to be very hot, but I couldn't imagine how horrible the heat was, it was pretty difficult conditions. "When we played longer, it was hotter and hotter and was tougher. "The ice towels helped a lot, of course. When you are playing, you are not just really thinking about it. But when you stop for a while, then you feel the heat from the ground, as well. It was also the humidity."